If you are planning a winter wedding, there may be some important things that you may not have realised that you’ll need to consider. With 8 years of experience shooting weddings in Lincolnshire and across the UK we have shot many a winter wedding. 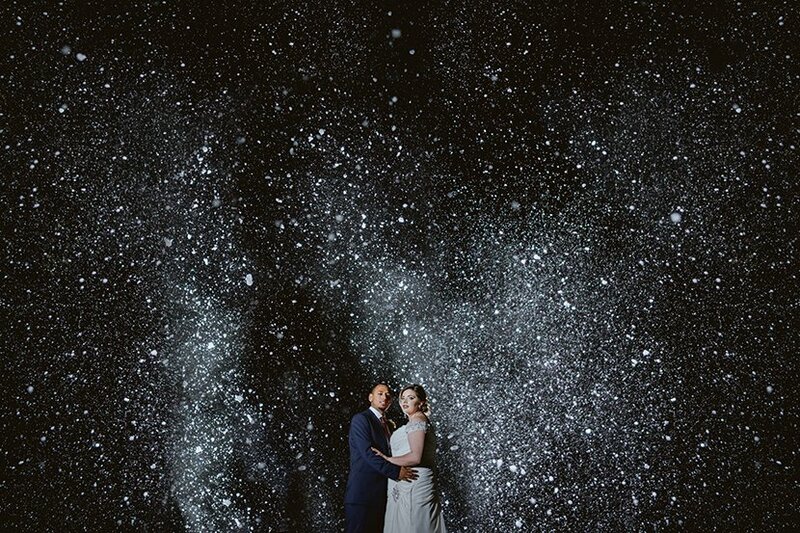 As a result, we have lots of useful advice for couples planning their winter weddings. We are going to share some of the things we have learned over the years with you below. Plan for the worst and hope for the best would be our advice. The weather in the UK is unpredictable at the best of times, but in winter it is a whole different ball game. When you get a nice winters day, it’s beyond beautiful, but please don’t pin all your hopes on getting that spook heatwave winter day. A cold, wet or drizzly day will not spoil things by any means but expecting a bit of a spanner in the works means you’ll be prepared for it. What’s more it wont feel like things aren’t going to plan if you do happen to have a bit of a dreary day. Amazing things can be achieved with rain and snow for example. Try to see the positives! Be sure to have brollies on stand by. Before you go and splash the cash however, ask your wedding venue what they have available. Most decent venues have plenty of umbrellas on standby available for you to use, so do ask first. 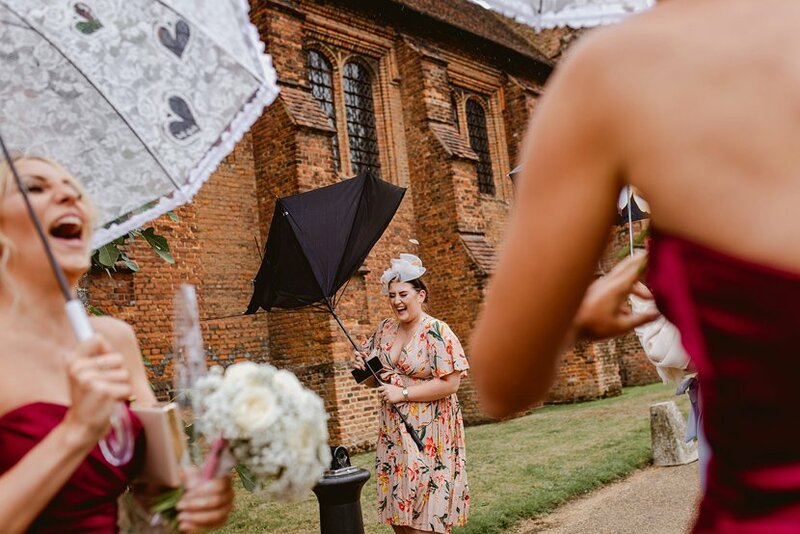 If you plan to use the umbrellas for couples photographs, for best results always choose white or as close to white as you can get (Ivory for example.) The reason for this being that whatever colour the umbrella is, it will reflect back onto you. So if you have a red umbrella, your faces will look very red for example. Not the best look! If they are just for fun though, take your pick! Either way, have something ready. Just in case. If an open fire is available at your wedding venue, make a feature of it. Have marshmallow toasting, a smores bar or just decorate it so it becomes a focal point. If you are getting married in (or are hosting your reception in) a marquee, it’s essential to have heating. They get cold quick and take a long time to get warm. It’s worth the investment, otherwise guests will be sat around with coats on, too frozen to move. Put on some indoor entertainment. MR & MRS games, pub style quizzes, open mic speeches for example. All go down a treat. We’ve even seen Karaoke and dance off competitions! 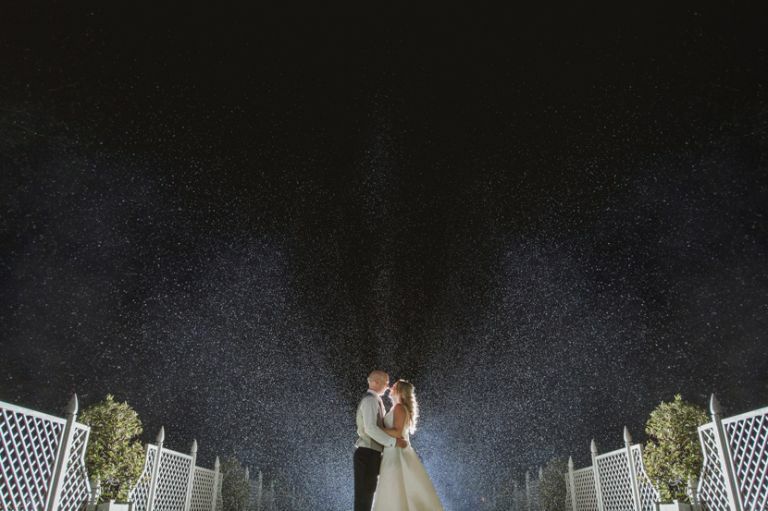 Many couples don’t take timings for their ceremony into consideration when they are planning a winter wedding. One of the things about winter weddings is that the sun sets early. Often even earlier than planned if the weather isn’t on your side. We would always advise that you schedule your ceremony to take place at least 2 hours before sunset is scheduled. So a 3pm sunset would equate to a 1pm ceremony and so on. This is to ensure that you have an ample amount of time left after the ceremony for photographs whilst it is still light enough outside. Yes, flash can be used inside, but the photos wont look quite as natural and if they aren’t done well you may find that you all look a little like deers caught in headlights. Not the look most couples are going for. 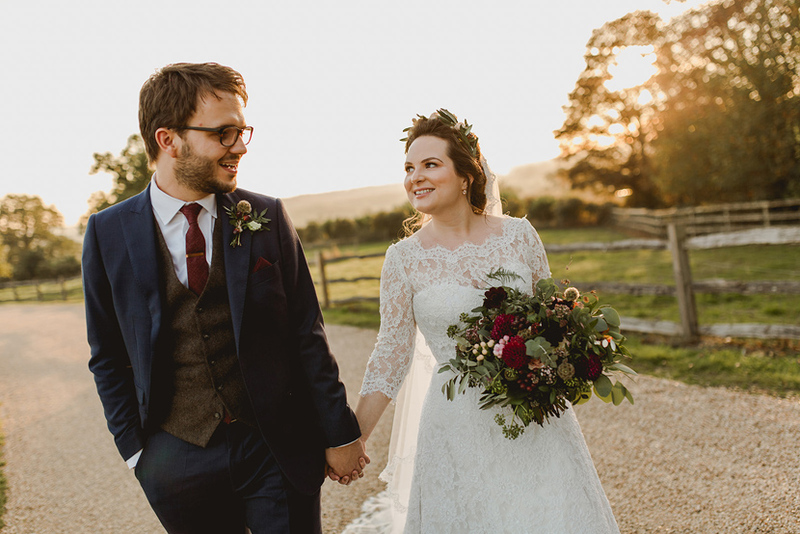 If you do have a relatively nice day, you may even be able to capture some couples photographs with some of that amazing, low, golden sunlight. As well as hoping for the best, but expecting the worse, you should have a plan B. For things like photographs, mingling and so on. 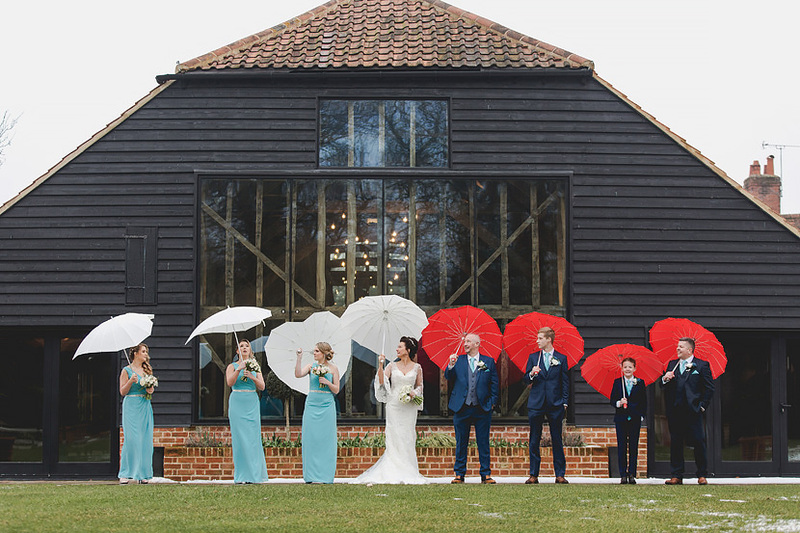 For example, if you have your heart set on a group photograph of all 100 guests, but it’s chucking it down outside, where else can it be done if not outside? Making sure that you have an action plan ahead of the day will mean the day is stress free no matter what. Be realistic in your approach to the day. 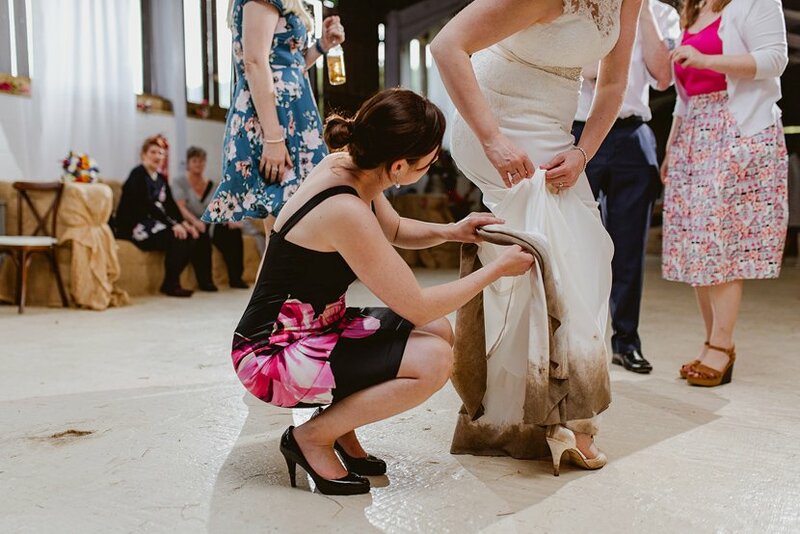 Know that a floor length dress will get dirty and accept that. Otherwise you’ll be on edge all day dress watching rather than enjoying yourself. Know that if it’s pouring down, your hair may not stay exactly in place- but that’s fine. Plan your schedule with buffer time to allow you to pop back to your room to touch up make up, or re-pin hair or change shoes for example. Have an emergency basket and use it if needed. Now I am very much a believer in your wedding your rules. And I’m a very firm believer that there are no rules. BUT. Hot food is kind of a must for a winter wedding. Afternoon tea, as lovely and quaint as it is, cold buffets….lets just say they don’t go down very well when everyones cold. Hot, filling food is as close to a must as you can get in our experience. I am a massive advocate for booking someone who’s work you love. Most suppliers for things like photography and videography are more than happy to travel wherever the wind takes them to cover a wedding. During winter months this does come with increased risk however. Last week when we had the epic proportions of snow, I saw numerous posts from panicked suppliers seeking emergency cover just incase they could not get to their wedding they were booked for. Whilst this is a responsible thing to do and something no supplier takes lightly, it may be something you as a couple wish to consider. Are you happy to risk booking someone who isn’t fairly local, on the off chance that they may end up needing to call in an emergency local supplier? And if they do, you may as well have just booked someone local to begin with. At least that way it would be someone of your choice and not just whoever happened to still be available. Something to consider perhaps. 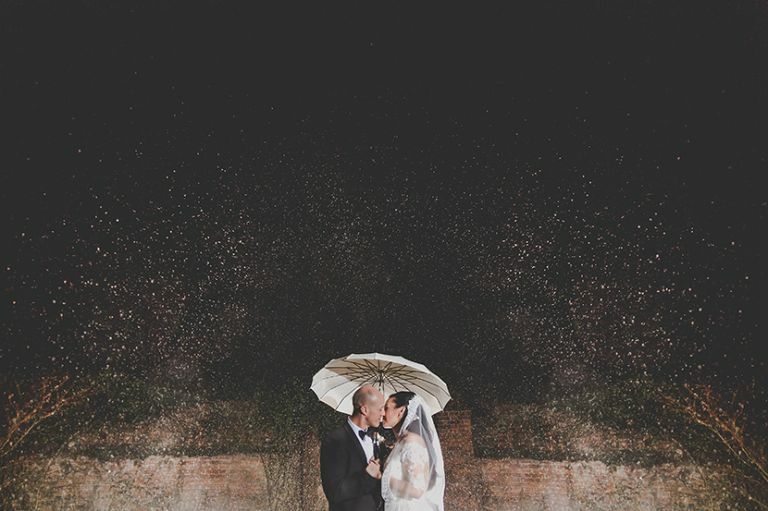 Winter weddings are wonderfully cosy, atmospheric occasions. They always feel homely and romantic. Our main takeaway point really is to be realistic in every sense of the word. 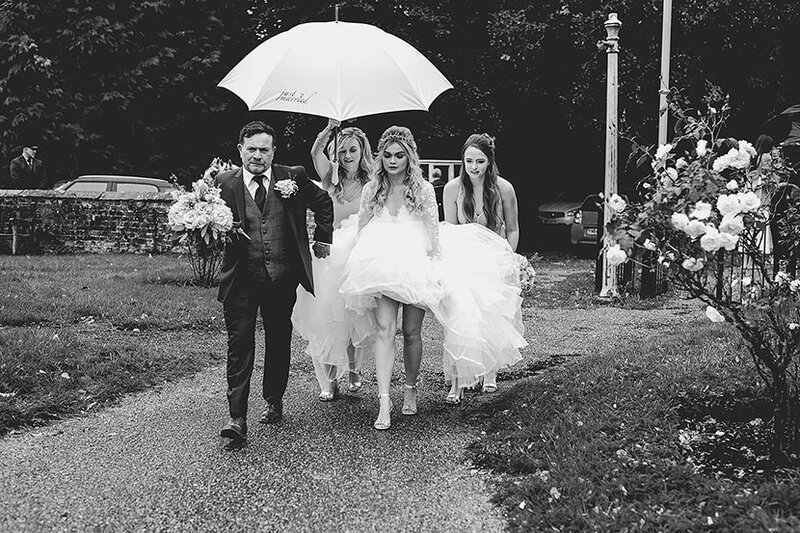 Don’t plan a “summer wedding” in winter and expect it to turn out as it would have if it were a glorious summers day. Plan for the wedding season that you are marrying in and you’ll be grand. 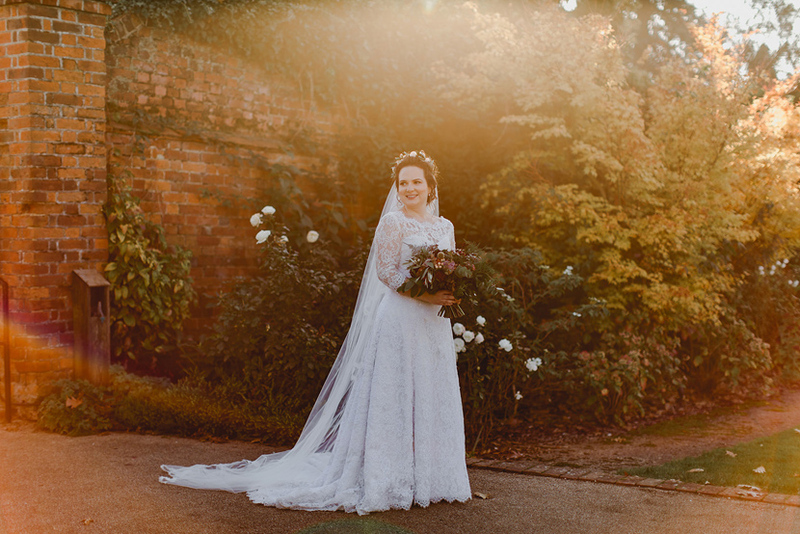 Take into account the time of your ceremony and make sure there is plenty of time left in natural light for photographs. Allow extra time at every turn. Keep people warm, keep people fed and keep people entertained and you will have the best day! If you’d like to follow us on social media for lots of real wedding inspiration, please do! Our account details are linked below.